Taxes and Divorce have been a frequent topic of discussion during the Family Law Intensive Seminar that I attended today and yesterday in Charlotte. In addition to taxes and divorce, there has been much discussion of business valuations, custodial evaluations, alimony experts, etc. Going to CLE’s like this always gives me lots of great ideas to talk about and share legal tips and information with my readers. Not surprisingly, whenever there is a small business or professional practice involved in a divorce case, the entire case is going to get very complicated very quickly. The use of experts in these cases is essential. Here are some quick tips I’ve received from the experts that have been talking to us today. 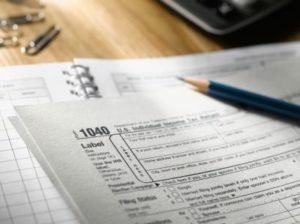 I’ve titled this list: 5 things you need to know about taxes and divorce in North Carolina. When looking for income in alimony cases, it is important to note that distributions from S-Corporations are not taxed when they are distributed. The implication here is that even though you (or your spouse) may have received substantial distributions from an S-Corporation, that doesn’t necessarily mean that this will be considered “income” for purposes of calculating alimony. S-Corporation shareholders can “cloak” their income by borrowing money from banks, running up large credit card bills and having large accounts payable balances. In these situations you must consider whether there is a marital liability for the shareholder loan to the company. You must carefully examine the balance sheet of an S-Corporation to determine if there have been any substantial capital contributions to the company (otherwise known as investments in the company – which could be considered marital property) by one of the parties to a divorce. Owners of an S-Corporation can frequently hide their income in various expenses of the company, such as: fringe benefits, employer-provided vehicles, Section 179 deductions, meals, entertainment and travel. Attorney’s fees are only deductible to the extent that they are used to obtain tax advice regarding divorce, or if they were required to obtain alimony. As always, if any of these issues are present in your case, I recommend that you contact a divorce lawyer to discuss your individual situation. Previous Post: « Alimony Guidelines in Colorado – Could North Carolina be next?